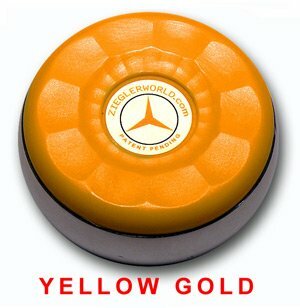 Why buy ZieglerWorld Pucks? 1. Available in 21 exciting colors to match your favorite team. 2. Unique cap design to help spin your throw. 3. Cap label designed to allow shufflers to gauge spin speed. 4. Easy screw on/off caps. 5. Made in the U.S.A. 6. Regulation 2 5/16 inch size. 7. ZieglerWorld Quality! Bonus #1 - Zieglerworld Shuffleboard Booklet. This 8 page booklet features different Shuffleboard Games, Rules, Helpful Hints & Board Care! Regulation 2 5/16 inch size. Available in 21 exciting colors to match your favorite team. Ask Us for Details!